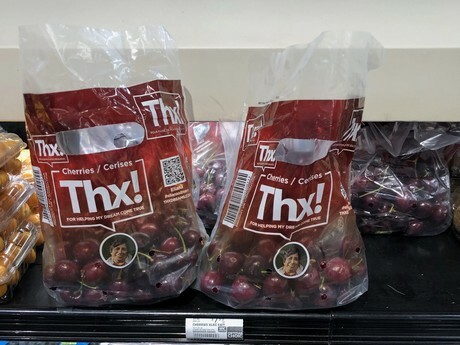 The company behind the "Thx" label is expanding to source from North American farmers this summer. The company began shipping blueberries and cherries from South America last year, with the aim to help engage shoppers with the farm workers who provide their produce. When someone buys a clamshell of Thx! product, they are contributing towards the purchase of a 'wish' from one of those farm workers. And it's not just blueberries the company wishes to expand, but they also want to expand to other berries, as well as implement a summer cherry program. They are still sourcing blueberries and cherries from South America but are now looking to secure grower partners in North America to make it a year-round program. "We are currently sourcing from Chile and Argentina and our plan is to continue with Mexico, Georgia, California, Michigan and Canada," said Martin Casanova of Fudi Food. 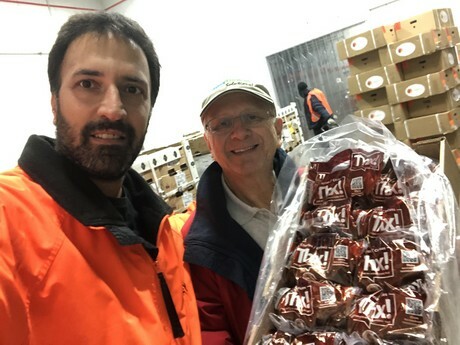 "We shipped almost 200,000 boxes from Argentina and Chile and we expect to sell between 250,000 and 300,000 boxes from Mexico, United States and Canada. Growers have reported increased productivity, improved worker morale and have benefited for being part of the program." The "Thx" brand labels feature the faces of farm workers who have a particular need, for their family, farm, or local community. With the proceeds from sales of the berries, the company aims to fulfill those needs. Casanova shared that the label will still have the same theme, but with the expansion into North America, the farm workers will change. "We always have the same labels but the farm workers (beneficiaries) featured in the packaging changes depending on the farm where the fruit comes from," he explained. "The connection between the consumer and the farm worker must be related to the fruit the shopper is buying." Casanova continued by noting the company are still on the lookout for growers to partner with. "Finding the right partners is very important for our program. Our main requirement is to share our values, pay fair wages, have a strong social commitment and the enthusiasm to transform lives of their people. Of course growing and delivering good quality fruit is a given. We have industry contacts and we are reaching out to different growers looking for the right fit according to the profile described. Our brand is ideal for those growers who are looking for a strong brand who represent their values." The inaugural destination market for "Thx" berries was North America. Now the company is looking to roll out the program further and send their berries to Europe and Latin America. Hence, Casanova and his associate, Raul Fernandez, are traveling to Berlin in February to attend Fruit Logistica to help further this goal. "At Fruit Logistica, we will meet our actual and some potential growers and other companies that are very curious to learn more about Thx!," Casanova shared. "Fortunately many people showed interest on Thx! and there are many open lines. With the expansion into the European market, we are looking at the Netherlands, France and the UK. At this stage we are open to different options and our goal is to go to socially conscious markets and customers." He concluded by declaring that the program works because it benefits everyone in the chain. "We are very excited with the feedback received in the last months. We have proven that our business model works for everyone - farm workers, growers and our customers. Our challenge is to expand and replicate with other products, aspiring to impact thousands of people into future years."